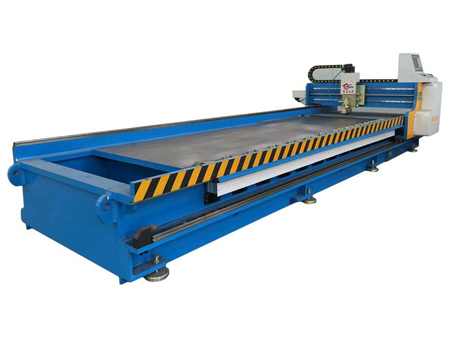 The sheet metal channel bending machine uses an advanced CNC system, which is known for its high precision, simple operation, no noise and no vibration. 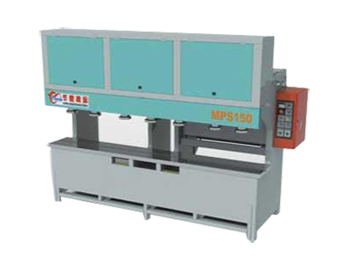 This machine tool is used for stamping a variety of objects, including stainless steel plates, aluminum plates, copper plates, iron plates, rubber boards, acrylic plates and other special plates. 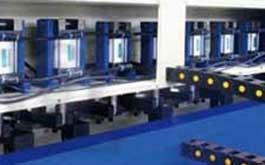 It can be used to process V grooves, U grooves, and other irregular grooves on these plates, though it is most often used for V groove machining before the sheets are sent for the bending process. Driven with ball screw and servo motor. Achieve high speed and high torque. 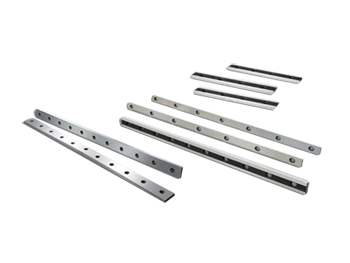 Huaxia uses Taiwanese pneumatic components with an effective travel of 1220mm. Users can purchase back gauge to 2250mm of extended. 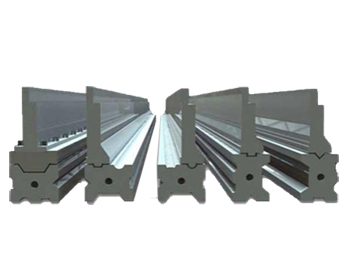 It uses three knives made of a high speed steel for simultaneous cutting, making the equipment suitable for a variety of materials such as stainless steel, common steel, aluminum plate, andplexiglass, something that makes it both efficient and durable. 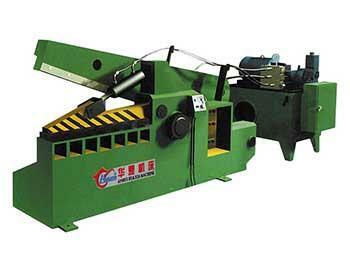 The equipment is welded with a steel plate and the internal stress is eliminated by vibration aging. The equipment uses a back feed structure and a universal ball to ensure the equipment will not destroy the surface of the sheet metal when feeding and discharging materials. 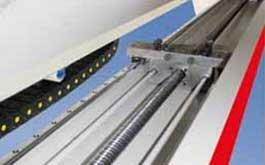 The adjustable movable working table ensures the accuracy of the grooving depth in each part. The machine is equipped with chip cutters. A total of 3 cutters are equipped on the front and back of the machine, so that iron chips produced are significantly reduced. Compared to traditional 5 knife processing, the accuracy is also significantly improved, because the use of 3 cutters avoids the formation of lines along the processing slot bottoms. 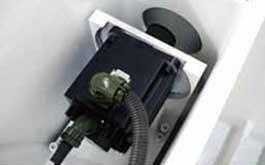 A fully pneumatic clamp and press ensures work is done fast without trace left on the product. 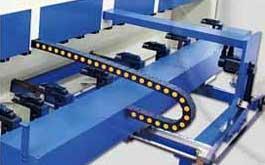 All processes use a tracking cooling blow, and the lighting system in the working area is brighter than other similar products available on the market today. The machine is equipped with a high-speed alloy steel gear rack, large pitch ball screw, and high precision, mute straight guide. The spindle system is driven using a high torque servo motor with an imported star reducer to ensure the tool holder is stable and fast while the workpiece is being processed. 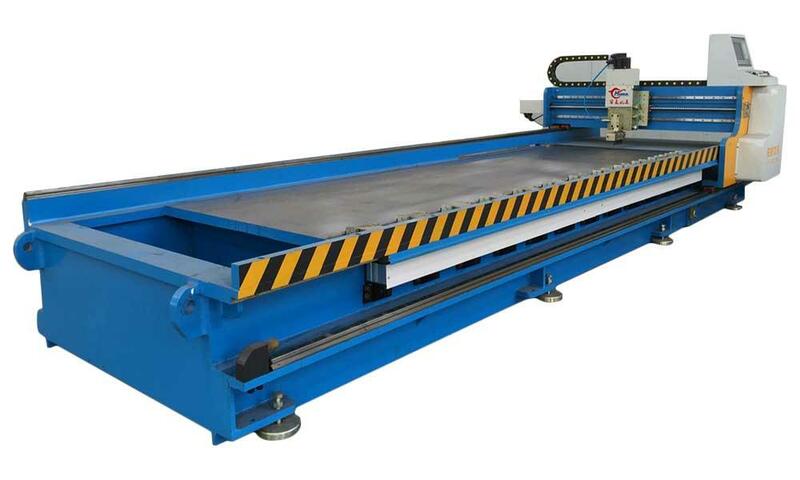 The high-strength plate is used as the base surface of the workbench, which ensures the workpiece is not easily worn. The table plate and machine body workpiece are both adjustable and movable, with the distance precision from the knife tip to each point on the table is guaranteed to be 0.02mm. The equipment uses PLC man-machine interface programming that is easy for operators to learn and understand. The product positioning is also clear. The equipment is controlled using fully pneumatic control for clamping materials and pressing materials to ensure the greatest performance in terms of energy saving and environmental protection. The overall shape of the equipment is simple, generous, and beautiful with the frame structure in line with the operation habits of various technical personnel, allowing operators to fully meet production and technical requirements.